Our mission is your healthy, happy teeth and we provide a wide range of general dentistry services geared towards maintaining dental health, such as routine dental checkups, thorough teeth cleaning, and digital X-rays which are preventative procedures designed to keep your gums and teeth healthy and prevent them from becoming a problem later on. During our regular oral exam we carefully examine your teeth and gums for periodontal issues or misalignment to detect problems long before they could become detrimental to your dental health. At Addison Dental, your local family dental care, we provide dental services for adults and kids. We are especially experienced in providing the most up-to-date and gentle care to our young patients 1 year and older. 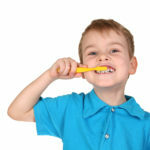 So as soon as your kids are 1 year old, start bringing them to Addison Dental where they can learn good dental hygiene and get monitored for dental issues before they become a problem. We also routinely perform school-required dental exams. If you are looking for a family dental clinic nearby that has children’s dental specialists, contact us to learn more about our kids-focused dental services. Is there a specific date that you prefer?